Preparations are in full swing for the Art Sea/Saanich Peninsula Spring Studio Tour. My cutting table is covered in fabric and projects in their final stages. I'm sure my friend (and co-exhibitor) Peggy F. is in the same state! 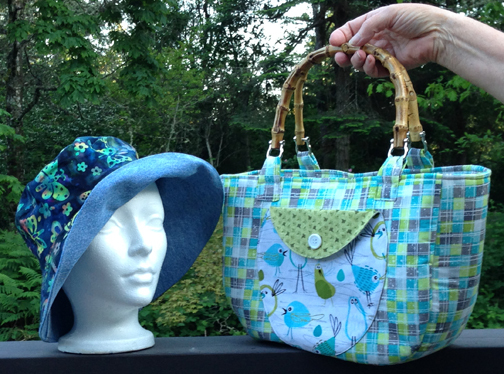 Here are a couple of items she will be showing when we invite the public to see our work.